The paramount objective of the institution revolves around the dissemination of knowledge therefore the institution since its inception has been striving hard to fulfill its obligations. IEEEP is purely non-commercial entity, only on subscriptions from its members and donations from the patriotic entrepreneurs dealing with the electrical and electronics goods. The fantastic speed with which technical advancements are taking place in various branches of engineering and science make it imperative, in fact inevitable for societies and institutions to be formed to deal with the study, practice and progress in the specialized subjects they cover. To achieve the objective IEEEP is making best efforts to spread engineering education and technology through its publications and events. 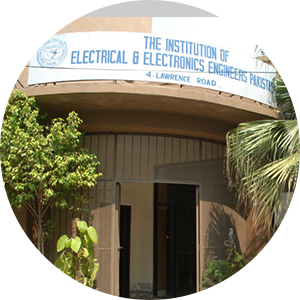 Thus IEEEP is playing a commendable role in promoting engineering education and profession in the country.